Over the weekend 21st to 23rd July we gathered at Sensei's house to celebrate his birthday and do a little training. It was good to see fellow karateka from all over Europe. Sensei Keith Gullen was particularly pleased to see an old friend Sensei Sokare from Sweeden. We trained on Saturday in the heat with Sensei teaching stance with an open guard. This is used as an invitation to an opponent, and is very quick to block from. Techniques were built up, movement added and sequences for kumite practice developed. Sensei Brian from Ireland took a kata session on both Saturday and Sunday, Joko Sandan. It is not a kata I have done before and there are a lot of moves to learn. 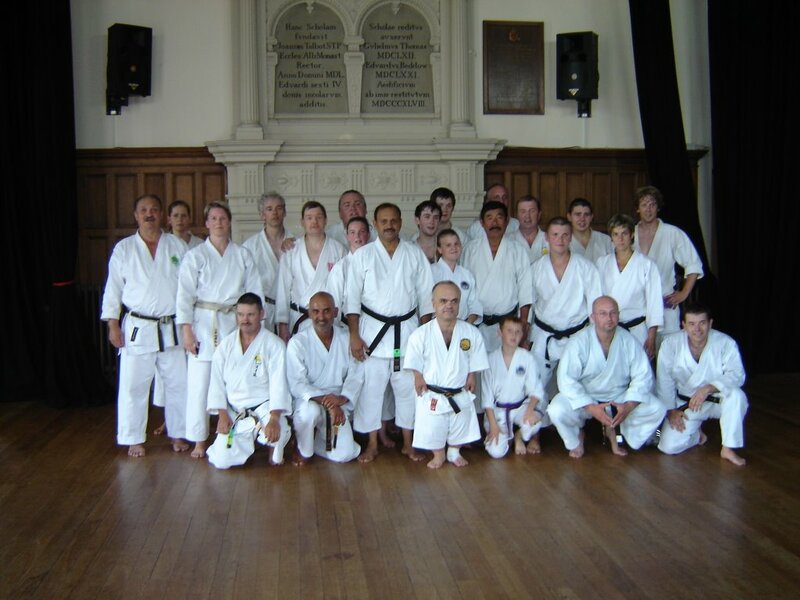 At our club we tend to stick to the main Shotokan katas, but I have made a point of remembering the first three Di kata and I could probably manage a go at Junro Nidan but that is it. I will not comment on the "is not 26 kata enough" debate. For those Karateka that are interested you can keep checking www.thejks.com Sensei Alan and Sensei Scott have videos of both syllabus and non syllabus kata. You will find the five Junro Kata and Joko Issei amongst them. Sensei Alan Campbell has produced a DVD of the Junro Kata, available from the JKS. You could email him through his website if you wanted to obtain a copy. Congratulations to all those that graded at the weekend. Osu!